I first read C.S. Lewis’s The Screwtape Letters back in 2006, and I loved it. 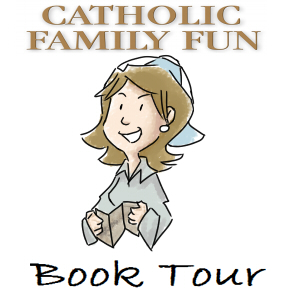 Not long after that first trip through the book, I led a summer book study with a group of women in my parish. The first time I read Screwtape, it was audio. The voice of the narrator was perfect in all the right creeporific ways. It struck me as one of the best examinations of conscience I had found (not that I had looked very hard at that point). It made me consider sin in a whole new way and think about angels and demons – especially demons – as workers with a stake in things, and as forces that I can beat, but not alone. It made me see the need for God in my life ever more, ever more. The second time I read it, I was reading more carefully. Since I had listened to the audio version the first time, different things leapt out at me when I went back through it with the book study. I was again struck by the fact that this was, in effect, a description of ME, and it was a starting place for an examination of conscience. I haven’t followed all the books in this vein, but when I come across them, I usually jump on them. Back in 2010, I read Fr. Dwight Longenecker’s Gargoyle Code and found it delightful (it warrants a reread, come to think of it, especially with Lent coming soon). 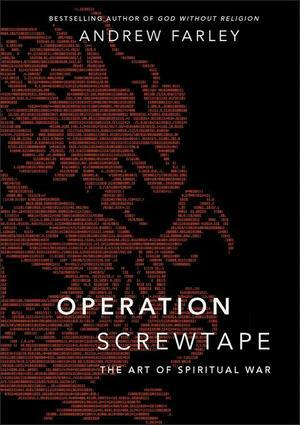 Imagine my delight to hear about Andrew Farley’s new book, Operation Screwtape: The Art of Spiritual War. It is, in a word, wonderful. Of course, that’s wonderful in a “terrifying, hilarious, little-too-true-to-be-fun” way. In keeping with Lewis’s brilliant tradition, this book was helpful as a guide to force me to dive into my examination of myself and my sins. It made me rethink some things that I know I’ve slipped into taking for granted. In this chapter we unlock winning concepts to steal away a patient’s time, achieving a significant negative effect on his long-term development. Using refined targeting, it is possible to busy a patient and send him off like a rat scurrying through an endless maze. But as fun as this may sound, it is always vital that you move based on accurate intelligence to ensure efficacy. Having synthesized the current data in our archives, we outline for you here two of the best approaches to thieving away a patient’s time to the delight of Our Father Below. The chapter goes on to outline the strategies and yes, it made me smile even as I was groaning. The two areas of focus are “the Enemy’s Will” and “divining the future.” The tempters, it seems, are to make us obsess over what God’s will is for us to the distraction of actually doing what needs done. We are then to worry so much about the future that we fail to be in the present. Excuse me while I slap my forehead. Guilty! Always keep them searching for more. Yes, they already have everything they need for life and godliness. 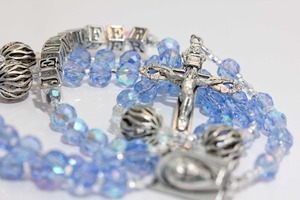 Yes, they already have been blessed with every spiritual blessing in the One. But we must take captive any thoughts of that sort and keep them in a haze of doubt, wondering, How can I get more faith? How can I get more love? Don’t I need more of these before I can truly begin living from the Life? If they knew the riches of the Life they possess, they would stop seeking and start living. But if we do our job well, they will squander the opportunity to give thanks for the faith and love right under their noses. So keep them perpetually searching. Fix their eyes on a future hope of more. They won’t even begin to imagine that a full infusion of the Life has already occurred and that they are complete. They won’t realize they have all the faith and love they ever need. They won’t see that their hope is now. This book speaks to so much about life and the struggles we all face. It isn’t written to send you to Confession, but I found it inspired me to go–it was the final nudge I needed to finally go. I’ll be sharing this book, and, as I did with Screwtape Letters, I will probably have to buy another copy after I lend it and lose it. But it’s worth it. There’s a message in this book that needs to be widely read and, even more importantly, widely believed and acted upon. This post was written as part of the conversation at the Patheos Book Club. Go on over and see the rest of the fun! I love Lewis and I love your review. Thanks for sharing from your heart!